KATHMANDU, Dec 7: Nepali Congress senior leader Ram Chandra Poudel has emphasized the unity among political parties to give the country a way out of the current political crisis. Talking to media-persons at Tribhuvan International Airport today after his return from a 10-day Japan visit, he said, "All political parties should become responsible to unite all the people of mountain, hill and Tarai areas." 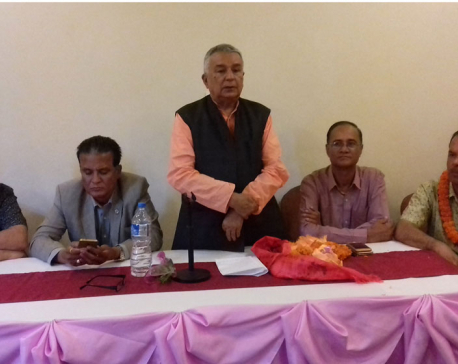 Leader Poudel also said all parties should be held accountable to hold the three levels of elections on time. He also said discussions were being held within NC on the constitution amendment.